Today was another mental and physical recharge day. After the long hike yesterday and before sitting on buses for 7 hours tomorrow I just wanted to take today easy. I went down to the bay and read for a while then ate a sandwich I had packed for lunch. When I was on the buses up to Brecon, we passed by a microbrewery called ZERODEGREES which I wanted to try. I went over there and had one of their pale ale's which was good. For some reason I got it in my head that I wanted to watch the new Lone Ranger movie, so I booked a ticket from my phone and went to the theater. When I got there, I printed my ticket from the kiosk and got some prime seating in the middle behind the hand rail. The movie was really entertaining and was filmed in the southwest USA so I also got a little taste of home. After the movie ended I grabbed a quick dinner of chicken curry and fries. I'm just going to relax here tonight and do a little work and read. 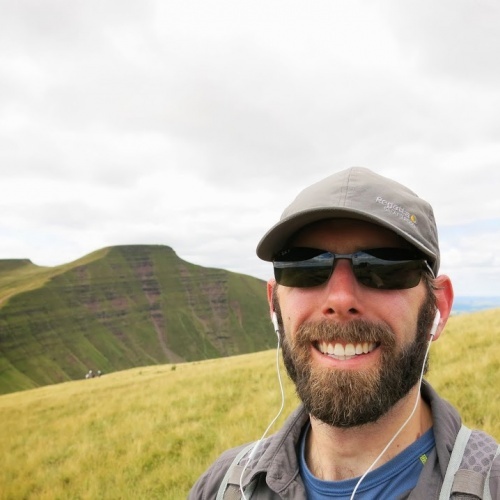 Today I went back to the Brecon Beacons to hike some more. The weather was calling for nice temperatures and no rain which made me even more eager to go. I was debating getting on the 8:20am bus but decided to sleep in a bit and instead get on the same 10:20am bus as yesterday. That decision had the potential of coming back to haunt me as the day went on. 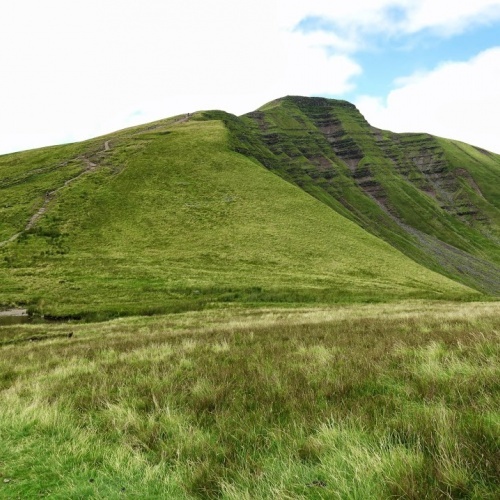 The plan was to hike from Storey Arms all the way to Brecon. It's a 10 mile hike and I had 4 hours to do it. 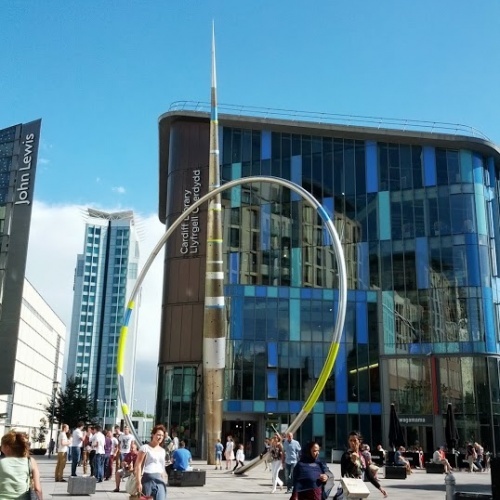 The last bus to Cardiff leaves Brecon at 4:00pm sharp. Apparently there was some kind of festival up in Brecon so the bus was absolutely packed. We were running a little late as it was and they kept trying to cram more and more people on. Finally we made it to Storey Arms and I had to push my way from the back of the bus up to the front to get off. Already running a little late, I ate a quick apple and set off. I made really good time up to Corn Du where I stopped for lunch and to enjoy the nice view. I worked up quite a sweat power hiking up to the top so I had to put my jacket on to keep myself warm. 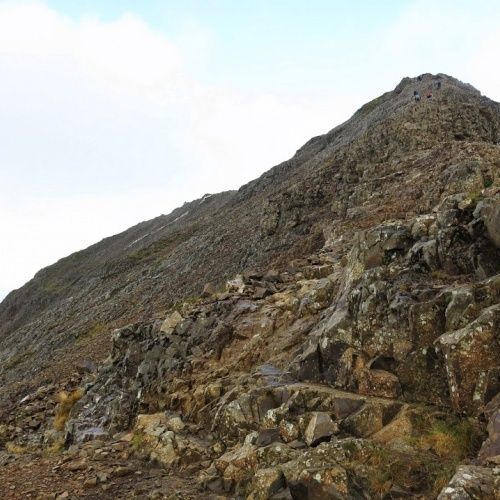 Hiking to Pen Y Fan was easy and then I set off for Cribyn peak. The ascents up to these peaks is really steep but I made pretty good time. 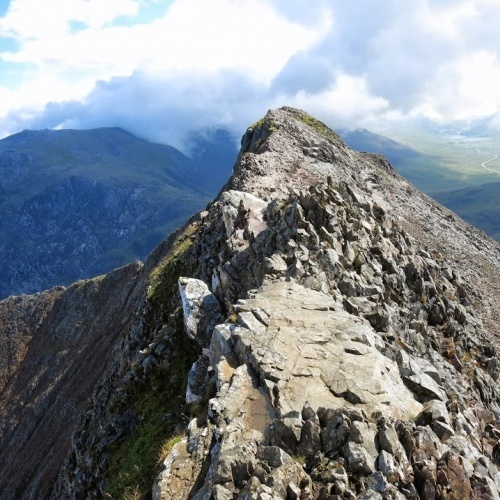 I was at the top of Cribyn by 1:45 so I sat there and enjoyed the views until 2. Cell reception was spotty so I hiked down toward Fan y Big and checked the map when I was in a saddle between the two peaks. It was 2:15 by now and Google was telling me it would be a 2 hour hike to the bus station. Hmm, I was cutting it close. There wasn't time to summit Fan y Big so I started walking back toward town. The trail was easy to follow and I passed by a lot of sheep grazing on the intense green grass. I finally made it off of the trail and got a little confused. The trail split up into a mountain biking only path and a walkers only path. I started down the walkers path and it was overrun with thorny vines and other plants that were intent on tugging at my clothes and headphones. Eventually I had enough of the trail when it started cutting to the east (the opposite direction I had to go). I sprinted back about a half mile to where I crossed a road and started following that instead. By now it was a little after 3:00 and I still had 4 miles to cover. Not looking good. I took out my headphones, turned off my ipod, attached the chest and waist straps and started running at a pretty hefty pace for about a half hour. After dodging a few cars on some extremely narrow roads I finally made it to Brecon. I still had about 20 minutes before the bus came so I slowed to a walk and made my way to the bus stop. I was completely drenched in sweat, my pants were covered in leaf stains from running back up the walkers path and my sides were cramped up a bit but I made it.... only to encounter a huge line of people from the Brecon festival trying to also catch the last bus to Cardiff. Fortunately we were all able to cram on and the journey home began. It was nice to sit down for a bit after the unplanned sprint after several hours of rather intense hiking. I got back to the hostel, showered and then devoured some of the sundried tomato/mozzarella tortellini that I also had last night. It's Saturday night and everyone's getting dressed up and ready to party. All I can think about is how comfortable the (rather uncomfortable) hostel bed is going to feel tonight. The hostel had a pub quiz night last night so I partnered up with a German couple for the game. We ended up losing pretty bad (a lot of the questions were UK focused). I fell asleep pretty quickly last night after hiking around the Brecon Beacons all day. This morning I got up, ate, made a peanut butter + Nutella and blackcurrant jam sandwich for later and started working. I wanted to use today to catch up on emails as well as plan out my next part of the journey. I'd been looking around on the map and was trying to figure out where might be a good place to go and people kept mentioning the Cornwall area of England. I did a little bit of Googling and eventually found the town of Newquay (remember, quay is pronounced 'key'). It's the surfing capital of the UK and it's also situated along some beautiful coastal cliffs with a lot of hikes and walks within reach. I booked a hostel for 7 nights and then set out to get my bus ticket. Since National Express gave me issues on the website last time, I just walked down to the coach station and got my ticket. On Monday I'll be on buses for almost 8 hours, even though distance wise it's not very far. The joys of traveling to a smaller destination and using public transport. I read in Bute park for a little while but it started to cloud up and cool off so I went over to the Cardiff Market and got some fresh raw prawns (shrimp), a lemon and some sun dried tomato/mozzarella filled ravioli for dinner. When I got back I read for a bit, showered and then made dinner. It turned out really good! I think it's one of the tastiest dinners I've made so far. I melted some butter and olive oil in a pan, threw in some garlic, shrimp and lemon juice and then after the ravioli cooked, I threw them in as well to let everything meld together. It's Friday night and it sounds like the hostel bar is getting busy so I'll head over there and have a drink or two. 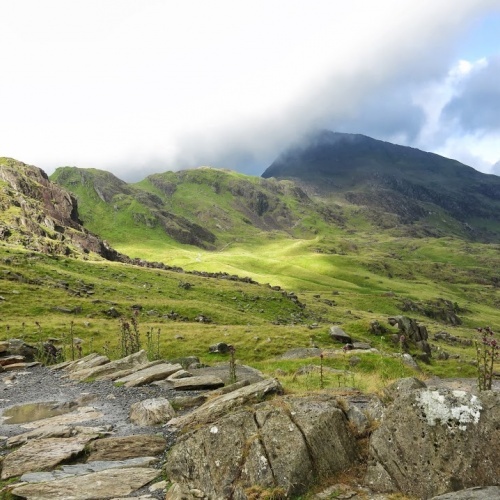 Tomorrow I'm going to head back up to the Brecon Beacons and do a slightly different route that hits a few more peaks. I'm just going to get the 10:20 bus so I can take tomorrow morning easy. Today was another one of those awesome days that makes me thankful I'm able to be on this trip. 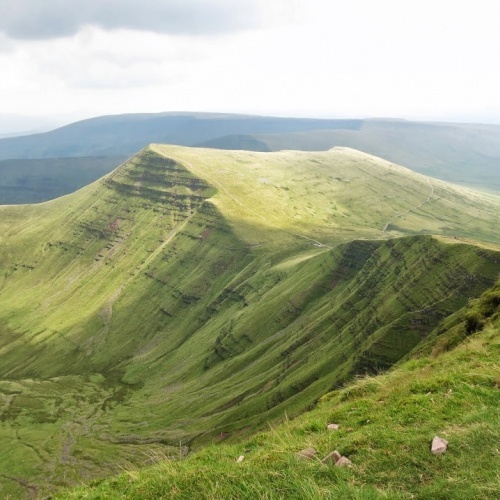 Brecon Beacons National Park is a giant park in South Wales home to several tall peaks. 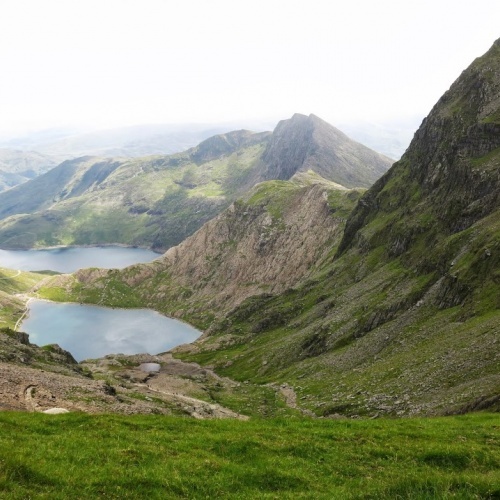 I originally wanted to find a hostel up here and hike around but due to unavailability with them, I was forced to stay down in Cardiff instead. That wasn't really an issue though. After doing some research I found out there are buses that run fairly regularly up to the park from Cardiff. 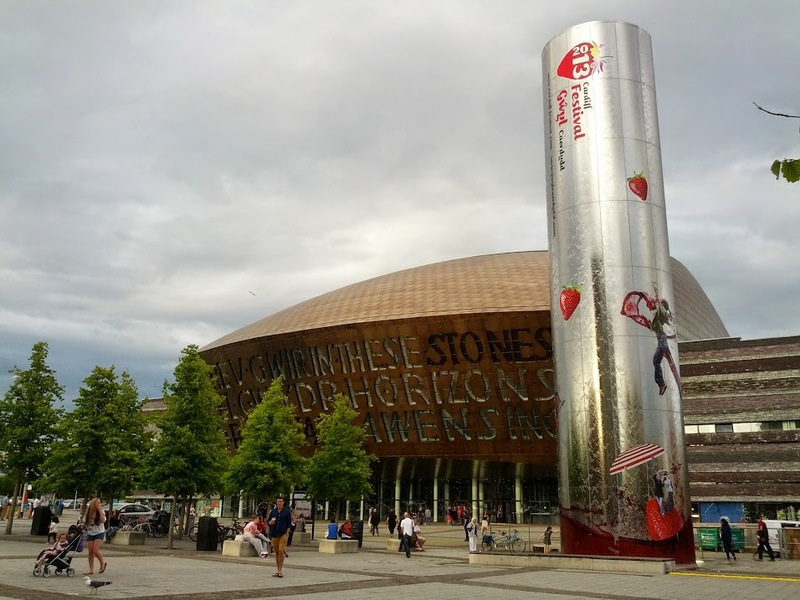 In case anyone finds this blog post on the internet or has this question, in order to get to Brecon from Cardiff, you need the T4 bus from Cardiff Central Bus Station. This runs Monday - Saturday at 2 hour intervals. You can get the Explorer ticket for 7.30 pounds which lets you hop on and off the bus system all day. If you're traveling on Sunday, you need the B1 bus. After looking at several of the trails, I picked Storey Arms as my starting and ending point. 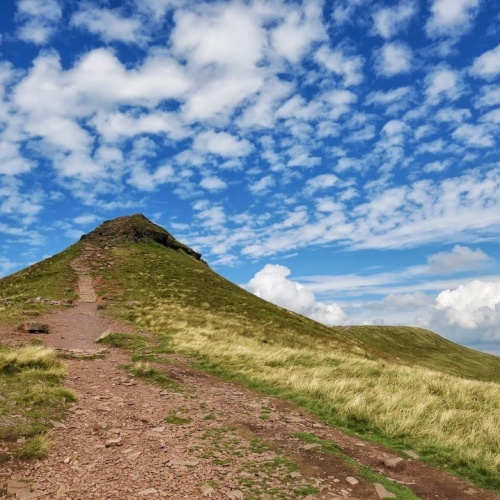 The T4 bus makes stops here and it's a great trailhead for Corn Du and Pen y Fen (the highest peak in the park at 886 meters). I made the mistake of reading the wrong bus schedule (I was reading the Sunday schedule) and missed the first T4 bus. I had to sit around and wait until 10:20 to catch the next T4. This got me up to Storey Arms just before noon. 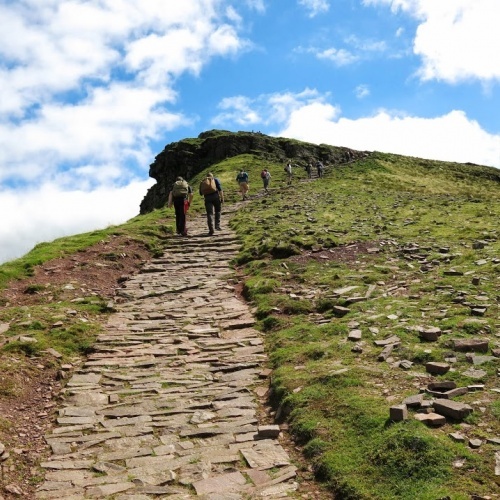 The hike starts off at a pretty standard incline which brings you up to a really nice viewing area of Corn Du and the surrounding area. You then descend down to a stream before making a really good climb up to the peak. The last 400 meters are extremely steep (or you can take the easy way via a side trail that goes around the back). When I got to the top, dark clouds were rolling in and I was convinced I was going to get rained on. Rather than sit around there and get wet I set off to Pen y Fan. That peak isn't too far away and has some great views. While I was there I had some lunch and admired the scenery. Amazingly, the dark clouds blew by and I was left with some really nice blue skies. It was only about 1:00 by now and I didn't have to be back to the trailhead until 4:22 for the last bus back to Cardiff. There were some other trails I saw that went in roughly the right direction I needed to go (aka: not the opposite direction) so I set off for them. The weather continued to improve and the views were absolutely amazing. I hiked until 2 when I decided to turn around. On the way back I passed pretty close to Corn Du summit so I went up there again to relax in the comfort of the views since the first time I was escaping the rain. I hiked around aimlessly a little more just to kill some time then went back down to the trailhead. The bus was a little late but I made it back to Cardiff around 6pm. I had some curry chips (french fries covered in curry) on the way back to the hostel where I showered and did some ghetto laundry. I really needed today to recharge me. Hiking around Cardiff has been nice but getting out and seeing some amazing views was a much welcome change. Tomorrow I'll probably make a working day here at the hostel. There are a few lingering emails I need to clear up and I also need to research were I'm heading next. On Saturday I'm going to go back up to the Beacons if the weather is nice and try to find some more places to hike around. Today I followed the River Taff Path down to Penarth. 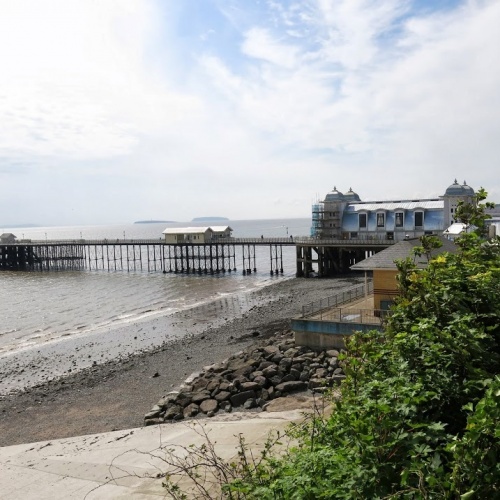 It's about a 5 mile walk along the river until you get near Penarth. Then it zig-zags around for a bit as you climb over the big hill that Penarth sits on to get to the pier on the other side. 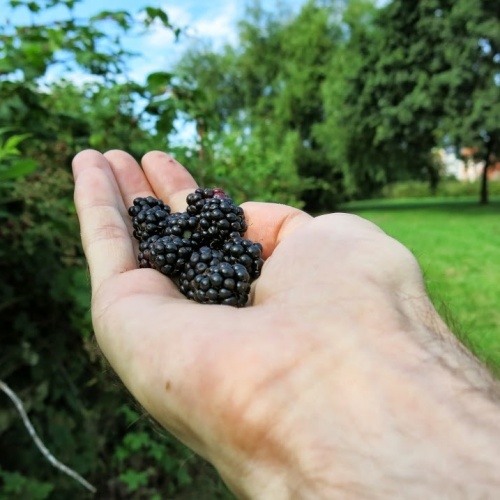 Along the way there were a ton of blackberry bushes so I ate more than my fair share of them as I walked. I passed by a huge Tesco and went in to get something to snack on. I've seen some commercials for Yorkie bars, so I picked one up. It was pretty good! Chocolate, crisped rice and raisin all mixed together. The Penarth Pier was a little disappointing. They were doing some construction on it and the ocean was pretty muddied up from all the recent rains. I ate a sandwich that I had made at the hostel and then set off back to Cardiff. 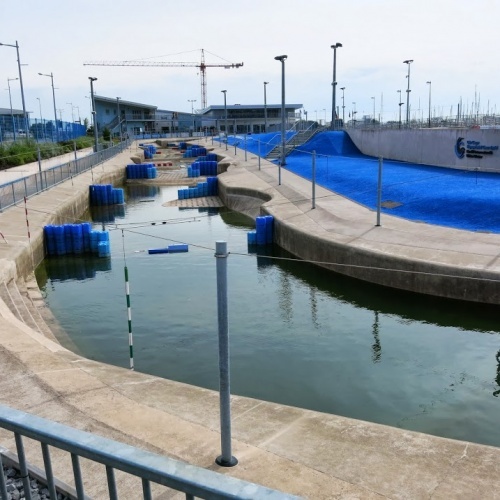 On the way back I took a slightly different route and crossed the Cardiff Barrage (basically a big bridge/flood control system for Cardiff Bay). I got to the Mermaid's Quay area and relaxed there in the shade for a little bit until it looked like it might rain. Back at the hostel I've been messing around on my computer working on a few random projects. I have some leftover tikka masala that I'll have for dinner but I don't think that'll be enough to fill me up. I'll have to find something else to eat too. I did walk just shy of 10 miles, so I'm sure my body will be demanding more food. 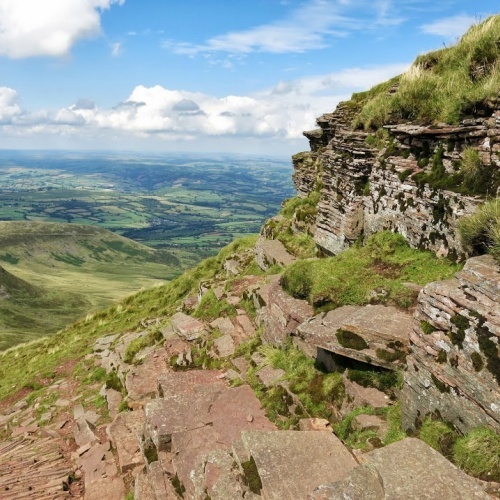 Tomorrow I'm actually going to attempt to make it up to Brecon Beacons and do some hiking. Hopefully I don't get rained on! It looked like it was supposed to be raining in the Brecon Beacons today so I used that as an excuse to explore more of Cardiff. 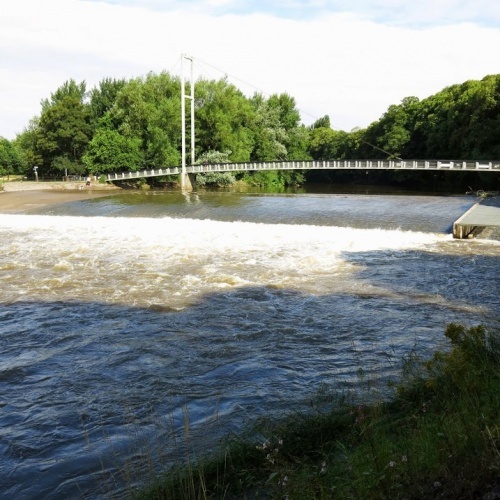 I started by walking through Bute Park (it's a huge, nearly 2 mile long park) along the River Taff. There were some cool tree carvings and rock formations along the way. Once I reached the end of the park I made my way back (altering my course just a little bit so I'd see different stuff) and made it back into town for lunch. After lunch I went to check out the National Museum here in Cardiff. 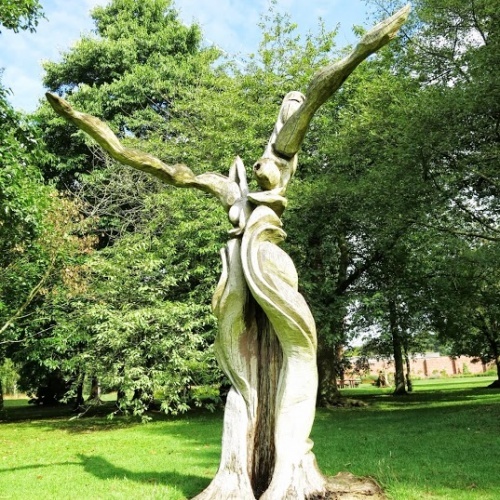 It's free to enter and has several exhibits and art galleries. 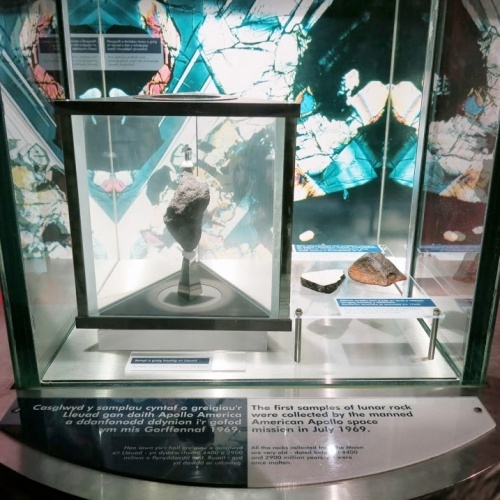 The ground floor has human history, history of Wales and some geological exhibits. The second floor has several different art galleries which included pieces of Monet, Picasso and Van Gogh. Because of my encounter with the rain yesterday I wanted to get a better waterproof jacket. There's a place in town called Mountain Warehouse and it seemed to have some pretty good deals. I went in and picked up a nice rain jacket with hood for 34 pounds (about $50 USD). Hopefully if I get caught in the rain again it'll help keep me dry. I went back to the big market and picked up another small chicken breast so I can cook it up for dinner then came back to the hostel. I was thinking about walking back down to the Cardiff Bay but might save that for after dinner if the weather still looks nice. It rained pretty much the entire day again today. I checked out of the Bunkhouse hostel at 10 and stuck around there until around 11:15 when I started to get hungry. On the way to the NosDa hostel I stopped at a place called Greggs and got a Cornish Pasty. It's basically a light dough filled with random stuff. I think mine had potato, onion and meat of some kind. It was pretty good though. I dropped my bag off at the hostel since I couldn't check in until 2 and set off to explore around a bit. First, I went to the National Museum but it's closed on Mondays. After that I just aimlessly walked around the city center going into random shops to avoid the rain. 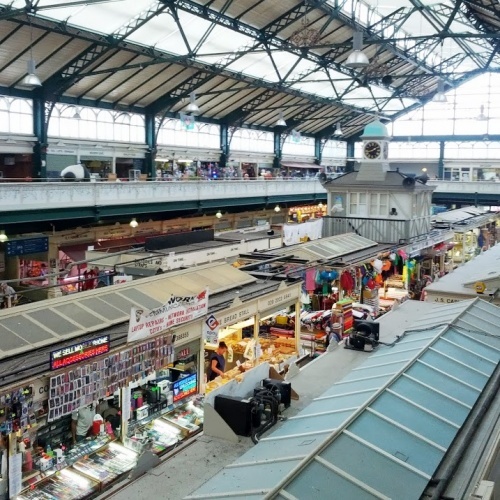 Eventually I went through a market where I picked up some veggies and chicken for dinner. I got some tikka masala sauce and olive oil at Sainsbury's so I could make a nice dinner. On the way back to the hostel it started absolutely pouring down rain. Luckily I was near a bus stop so I ducked into it for about 20 minutes until the rain let up. After checking into the hostel (behind a group of about 20 french kids), I checked some emails and had a cider at the hostel bar. I think I reached some kind of limit on my SIM card because the internet it's providing seems to be throttled pretty hard. The rain and clouds broke so I took my chances and ran out to get some cash and enjoy the sun. It started looking ominous again so I came back and made dinner (which tasted really good!). I picked up some naan on the way to the hostel too to accompany the dinner. It was a good choice. I might head out again and walk around since it looks nice again. Weather looks crappy for tomorrow so I'll probably put my hiking in Breacon Beacons on hold for another day. Today was a rather uneventful day. From the time I woke up until now (almost 6pm), it's been raining almost non stop. There have been a few spurts of maybe an hour combined all day where the rain has let off. 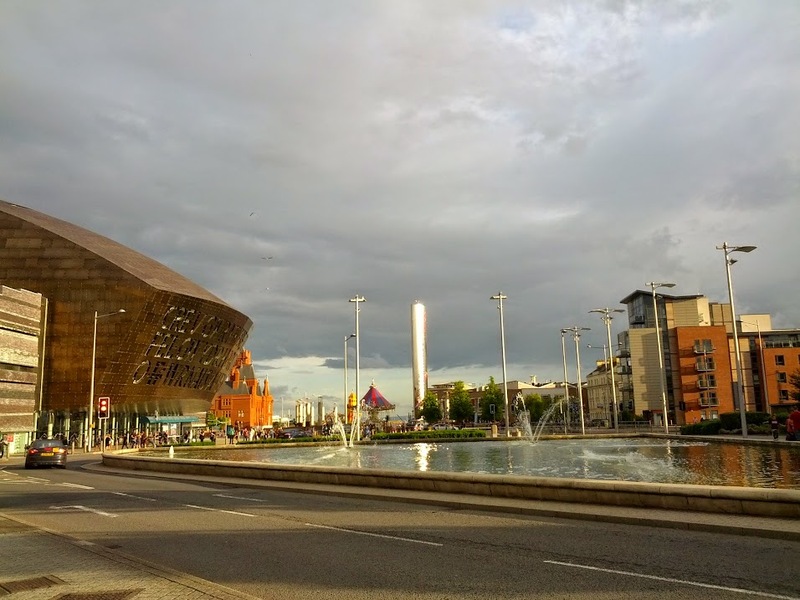 I was originally planning on heading down to do some exploring around the Cardiff Bay, but the rain changed those plans. My next choice was the National Museum since it's free and it would be indoors the whole time, but I never got a chance to get there without getting drenched. Instead, I spent an hour or so this afternoon trying to figure out my next plan of attack. 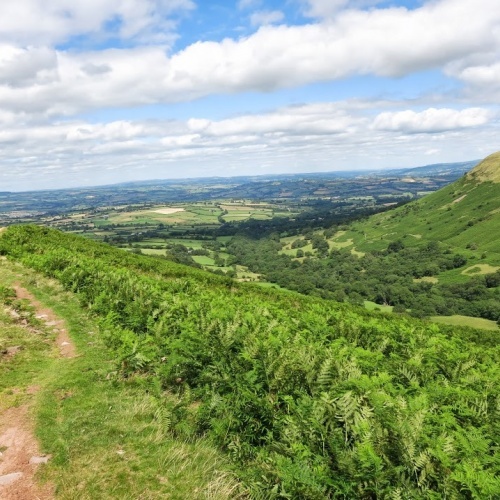 I was researching hostels up in the Brecon Beacons National Park but all of them were either in the middle of nowhere or they had spotty availability. Not good. I overheard the girl working reception say that she was planning on going up to Brecon Beacons after work today but had to nix that due to the rain. That got me thinking... maybe I can hop on a bus from Cardiff and get there and make a few day trips out of it. Sure enough, there are several buses that run each day that run round trips through the park to and from Cardiff. That was enough to sell me. I didn't really like how this hostel doesn't have a full kitchen, so I found another one down the street that has a kitchen and more of a lounge area that isn't an active bar and booked it for a full week (7 nights for the cost of 5, wohoo!). Tomorrow I'll check out of the Bunkhouse Hostel and head over to the NosDa Hostel where I'll spend the next 7 nights. 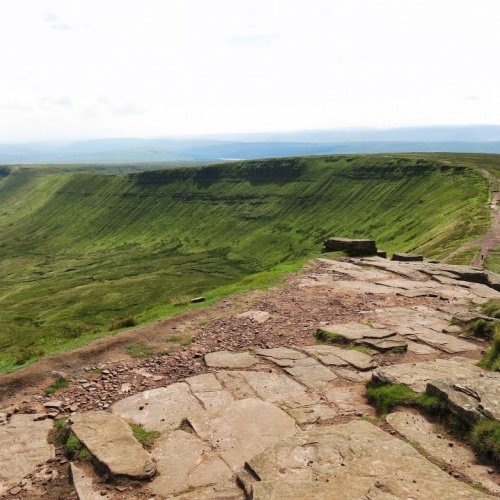 The weather is also supposed to clear up so I'll do several day trips up to the Beacons for some hiking on various summits. It also helps satisfy my earlier desire to stay in one spot for a while. I still might head back to Bristol after my stay here, but who knows. Maybe by then I'll have talked to some other people who gave me some info on somewhere better to go. I don't really feel like drinking again tonight but I'll probably go down and order a drink and chill in the bar/pub/hostel lounge for a while since I don't want to venture out into the rain and don't feel like going to bed at 6pm. Since the Rock & Bowl hostel was booked for Saturday night when I was making plans earlier in the week, I had to figure out where else to go. 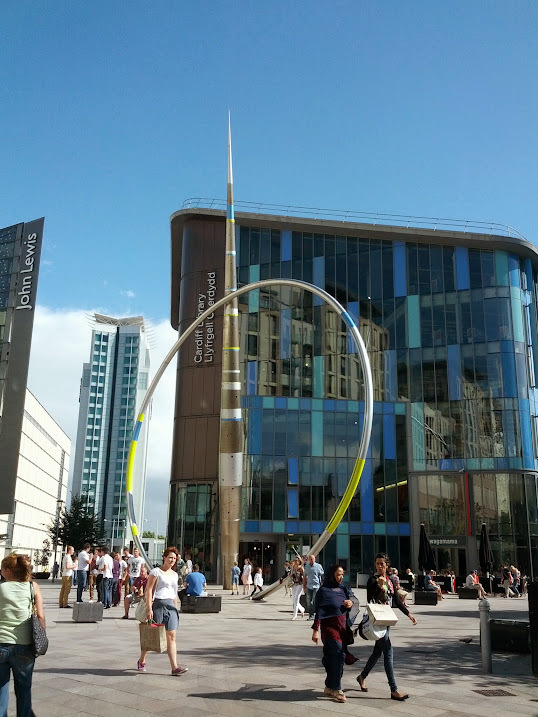 Cardiff, Wales was on my list of places to visit and it wasn't very far from Bristol. I checked and they had a hostel with availability for Saturday night so I booked it. I made myself a sandwich and checked out of the hostel. I was going to read for a bit in one of the parks but the ground was wet from some rain earlier. I ended up going to the train station where I had a cup of coffee and read for a little while. 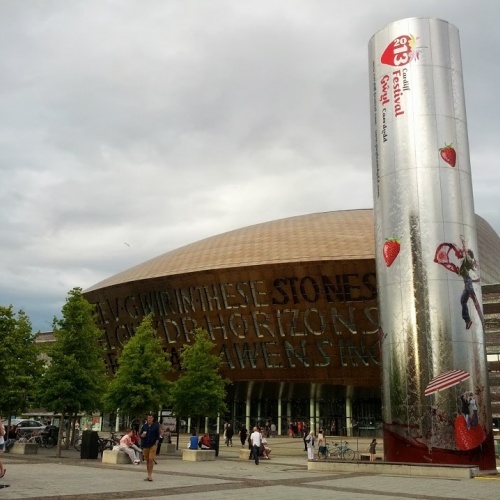 Eventually I got on the train and after a short ride I was in Cardiff. 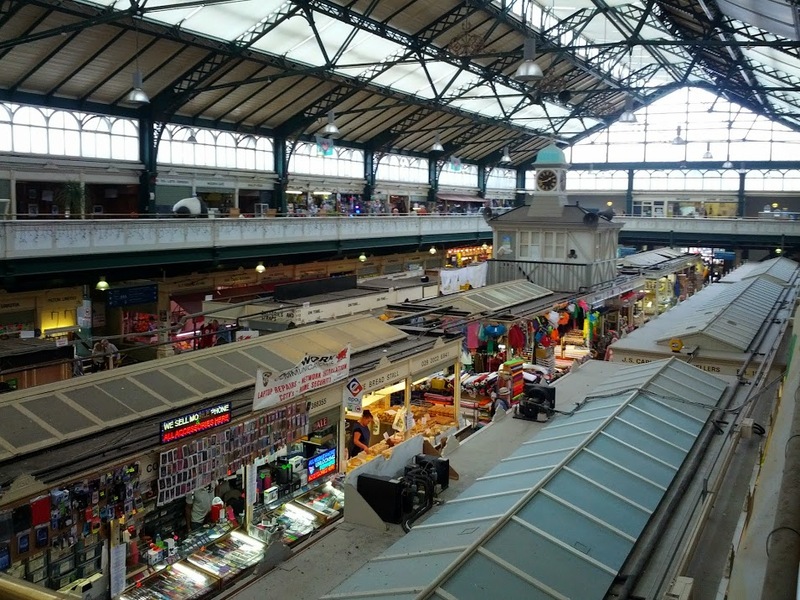 The Cardiff Central train station is basically smack dab in the middle of all the action. It was only a few minutes walk to the hostel which is also in the center of everything. I checked in, walked around the city center for a bit, had a couple beers, then got some chinese food for dinner. 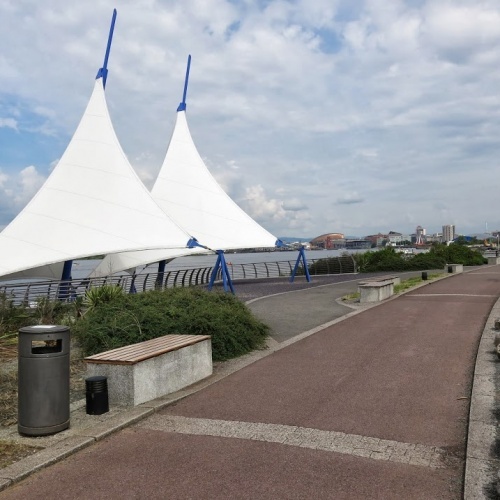 I decided to walk down to the Cardiff Bay to see some of the sights there. 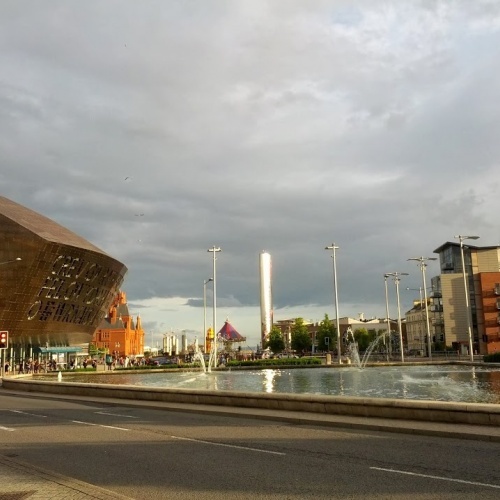 Doctor Who films quite a bit around Cardiff and the bay area is one place that's featured regularly. Unfortunately there was a big festival set up where most of the scenes were shot so I wasn't able to get a good photo. I'm back at the hostel now and I'll probably go down and get another drink at the hostel bar and hang out for a while. Tomorrow I need to spend some time figuring out where I'm going to spend next week.